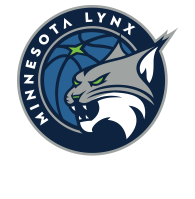 Over the weekend, the WNBA saw the Minnesota Lynx and the Los Angeles Sparks complete sweeps in the semifinal round of the WNBA Playoffs. 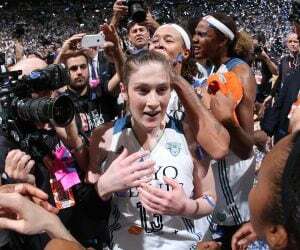 Both teams advance to the WNBA Finals, which starts this weekend, in a rematch of last years five-game Finals series. It’s easy to look at the remaining two teams in the WNBA Playoffs and make the assumption that they are the top two teams left standing. After all, that’s probably true. But even before postseason play began, Minnesota and Los Angeles were the top teams in the league for really the entire WNBA regular season. And we saw that continue in the semifinal round of the playoffs this past week. 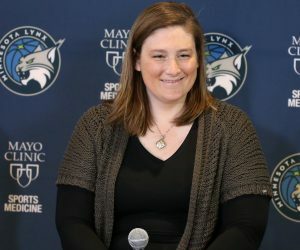 The Lynx, who finished the season as the WNBA’s best team with a record of 27-7, just wrapped up a 3-0 sweep over Washington in the semifinals. The Sparks, who finished second in the league at 26-8 overall, finished a 3-0 sweep of Phoenix in the semifinals over the weekend. This should make for a fun Finals rematch. One thing that we learned from Minnesota in its semifinals series against Washington was just how much depth and talent this team has. Many were already aware of this already, but it was on full display over the past week. 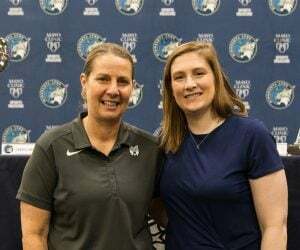 Cheryl Reeve said before the playoffs began for the Lynx that they need everyone ready and willing to step up at different points during the postseason. In the sweep over Washington, numerous players did just that. One of the many things that makes Minnesota such a dangerous team is the fact that they have a roster filled with players that can take over a game at any moment. The Lynx force opposing teams to pick their poison. 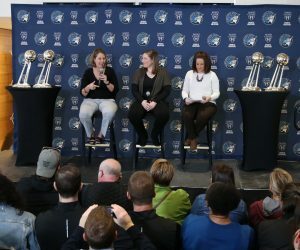 From the starting five to the players coming off the bench, this Lynx team is scary good. And their depth and talent will be key moving forward in the Finals. One thing that we have learned about Los Angeles following this weekend that they continue to roll on here at the end of the season. Following a 3-0 sweep of the Phoenix Mercury over the weekend, the Sparks have extended their winning streak, which dates back to the end of the regular season, to 10 straight games. That 10-game winning streak is the longest winning streak in WNBA history among teams carrying a winning streak into the Finals. Much like the Lynx, the Sparks have a starting lineup filled with firepower and can attack from anywhere on the floor. Los Angeles, though, leans heavily on its starting five, so one thing to watch moving forward is fatigue and how (or if) the Sparks utilize their bench in the Finals. Game 1 of the WNBA Finals between Minnesota and Los Angeles will be at 2:30 p.m. Sunday at Williams Arena. The game will be aired on ABC, 106.1 BOB FM, TuneIn Radio and on the Lynx App.